With a stunning mountain view, Ba Na Hills has become a popular destination in Vietnam among the local as well as foreigners. Visiting Ba Na Hills, you not only enjoy nice landscape and great atmosphere but also participate in various entertainments. 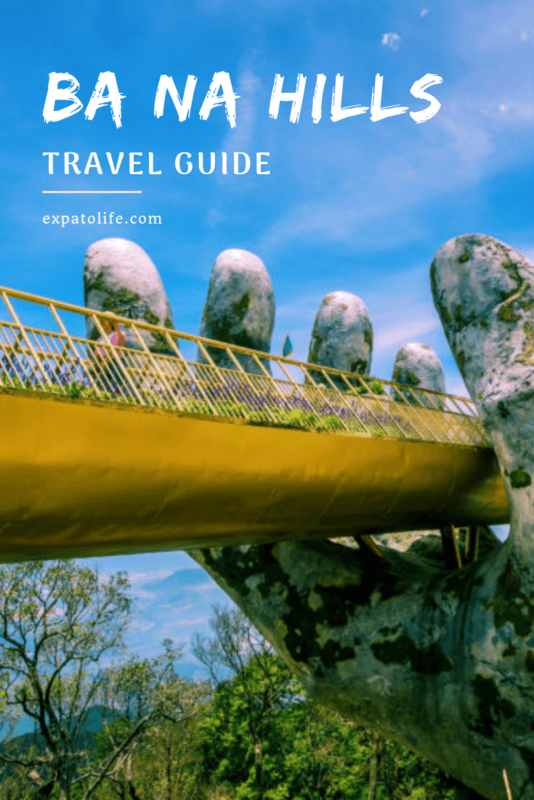 Here is our complete guide to Ba Na Hills, with transportation information, ticket information and insider tips to make the most of your visit to Ba Na Hills. 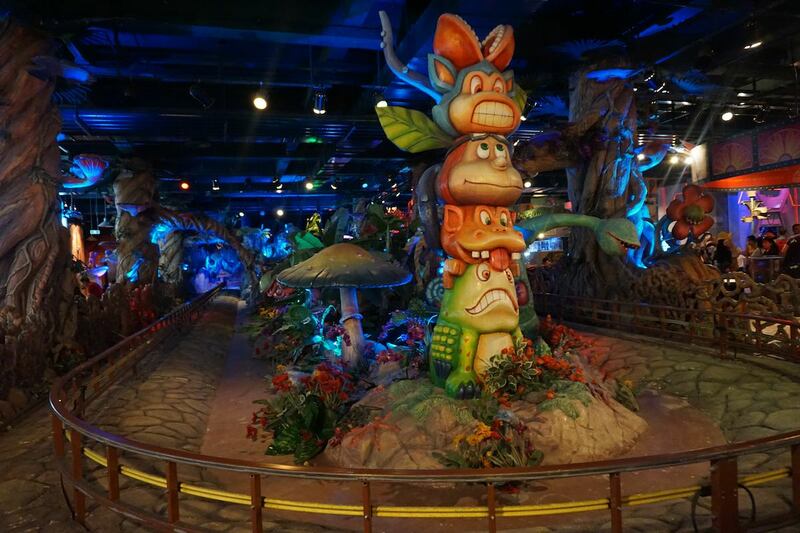 If you love amusement parks or you have children do, you should definitely visit Ba Na Hills. The combination of different entertainment and beautiful architecture makes Ba Na Hills one of the most amazing amusement parks in Vietnam. As Ba Na Hills is busy every day of the year, you should plan your trip and buy tickets in advance to make the most of your visit. 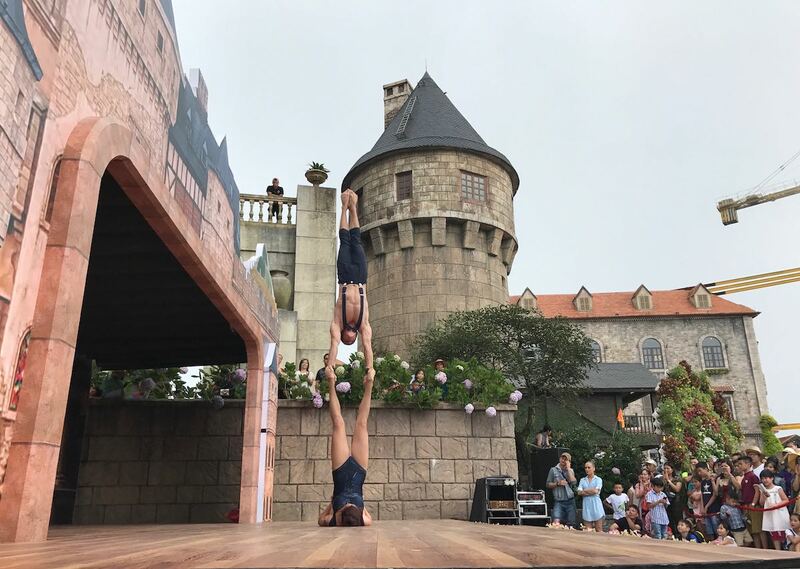 In this article, we give you all the information that you need to have the most fun on your day at Ba Na Hills. 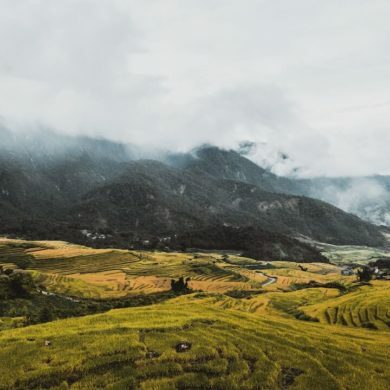 What is Ba Na Hills? Located just 20km away from the downtown of Da Nang City, SunWorld Ba Na Hills is one of the best amusement parks in Vietnam with an ideal climate and delightful natural landscape. Not only experience a diverse set of festive, but visitors can also enjoy different activities and experience European architecture and beautiful gardens. 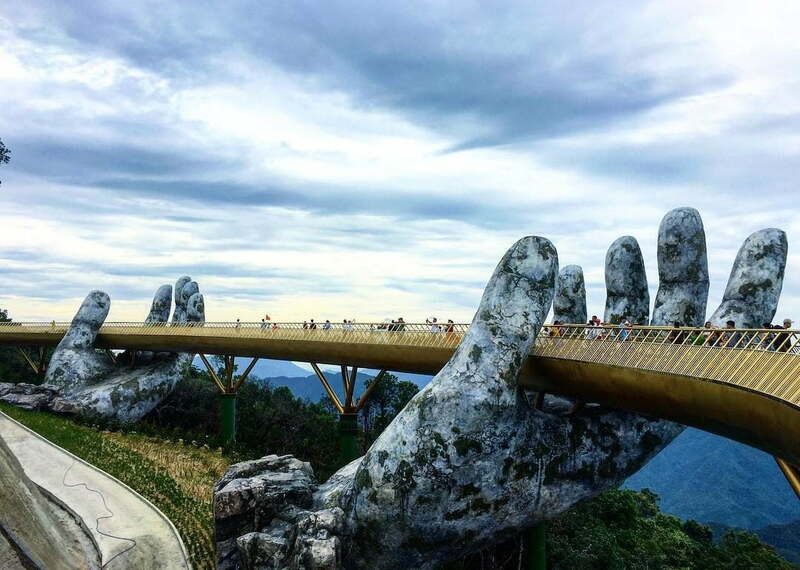 How much is the ticket at Ba Na Hills? Ba Na Hills ticket price includes the entry ticket to the complex with the ticket for cable cars for both ways. The price shown is already included 10% of VAT. Ba Na Hills Ticket price for Adult: 700 000 VND. However, you can get a discount by purchasing in advance with Klook. Where to buy Ba Na Hills tickets? The best way to purchase Ba Na Hills Ticket online is via Klook, a reliable and efficient online travel company. We’ve used Klook for several activities including Ba Na Hills park so we definitely recommend it. Easy cancellation: You will receive full refunds for cancelations made at least 48 hours before the visit date. Option for Vietnamese Buffet: You can enjoy the tasty Vietnamese dishes at Arapang restaurant with Vietnamese Buffet voucher (additional payment). Ba Na Hills tour: If you’re interested in taking a tour, you can also join Ba Na Hills tour from Klook. Please read the article for the review on the tour. 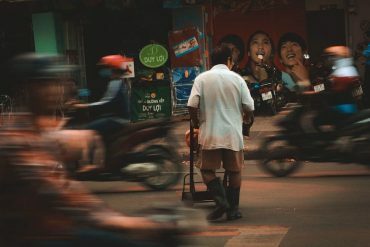 Da Nang is well-connected with other places in Vietnam with domestic flights, trains, and buses from Hanoi, Hue, Nha Trang, and Ho Chi Minh city. From Da Nang Airport, you can book a private transfer to Ba Na Hills. From Da Nang city, you can book a private transfer from Da Nang city to Ba Na Hills. Depending on the number of your group members, you can choose a car for 3 pax, 5 pax or 12 pax. 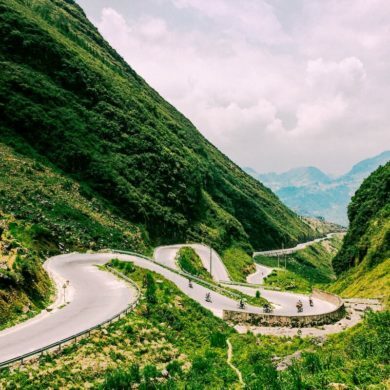 You can also sign up for Ba Na Hills Day trip from Da Nang. A day tour always includes a roundtrip hotel transfer within Da Nang city center. Note: We recommend to leave all your belongings in your accommodation in Da Nang and visit Ba Na Hills in the morning. 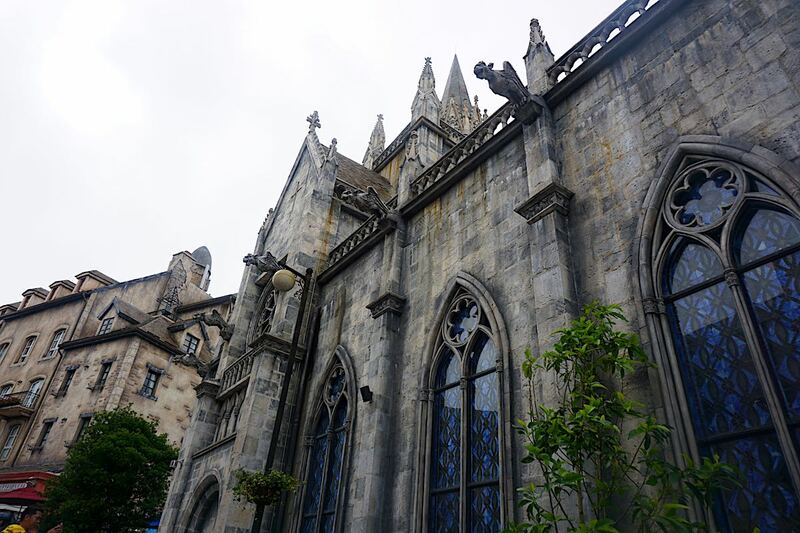 What to see in Ba Na Hills? 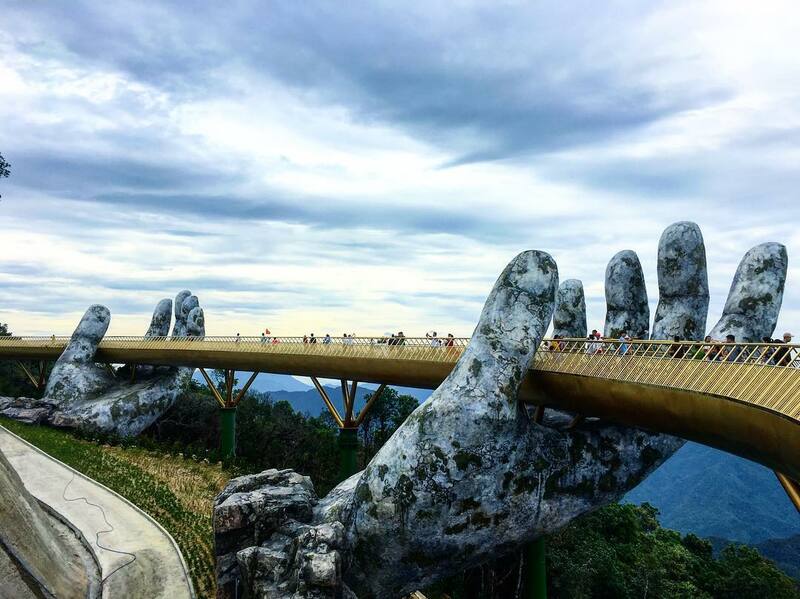 The image of a yellow bridge supported by giant hands only appeared on social networks not long ago but immediately attracts the community. 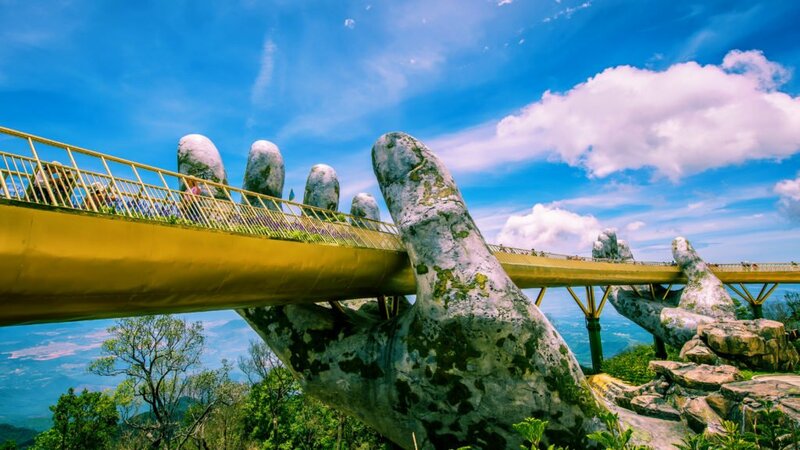 Located in the middle of the mountain, the bridge is designed to look soft and charming, with the entire bridge covered with a magnificent yellow. From the distance, the bridge is like a silk strip floating in white clouds. What makes the bridge more special is the huge supporting hand. Standing on the bridge, a majestic natural landscape will appear in front of you with white clouds and mountains. 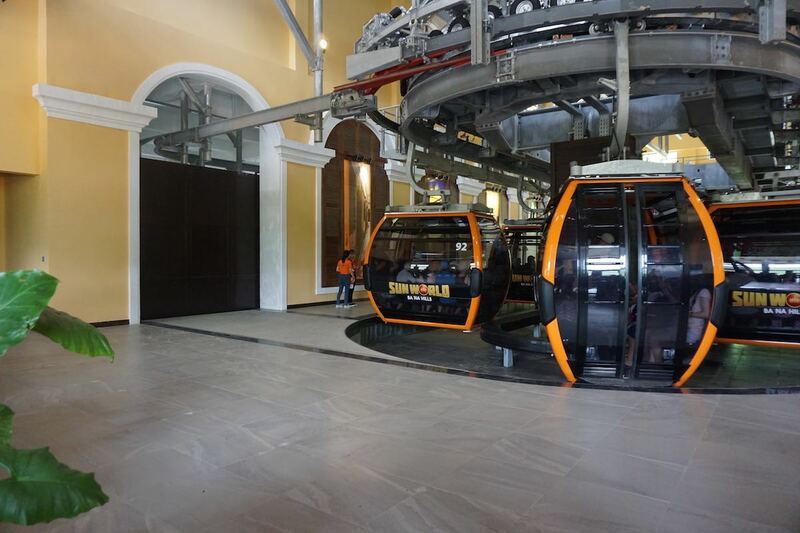 As Ba Na Hills is located at the peak of Chua Mountain, the only way to reach there is via cable car. Ba Na Hills’ cable car system is one of the most impressive ten-cable-car lines in the world, so it is an attraction itself. The fee for cable car is already included in your ticket. 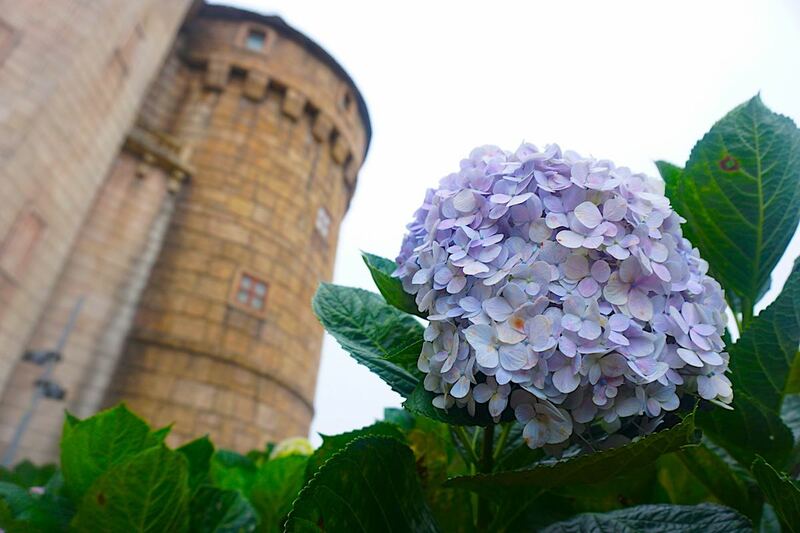 When you arrive at the station, take a walk to Le Jardin d’Amour to enjoy the beauty of flowers and statues. Le Jardin D’amour flower gardens are divided into 9 gardens with 9 unique architectural styles. 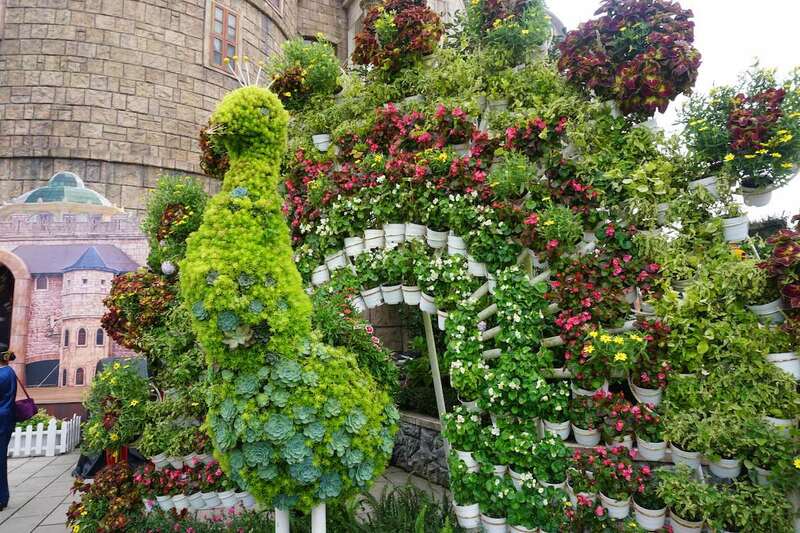 Suoi Mo Garden: Located on a gently sloping terrain with sweeping views, Suoi Mo garden has a beautiful combination of Aparang flower and Kim Cham flowers. Mysterious Garden: An established maze makes visitors with charming huge tree walls. Couple Garden: French architecture is expressed through delicate architecture with vivid and attractive patterns and motifs. The Mythical Garden: The magnificent column of rows found in the Mythical Garden is inspired by the image of Olympia peak with Athens and Greece Gods. 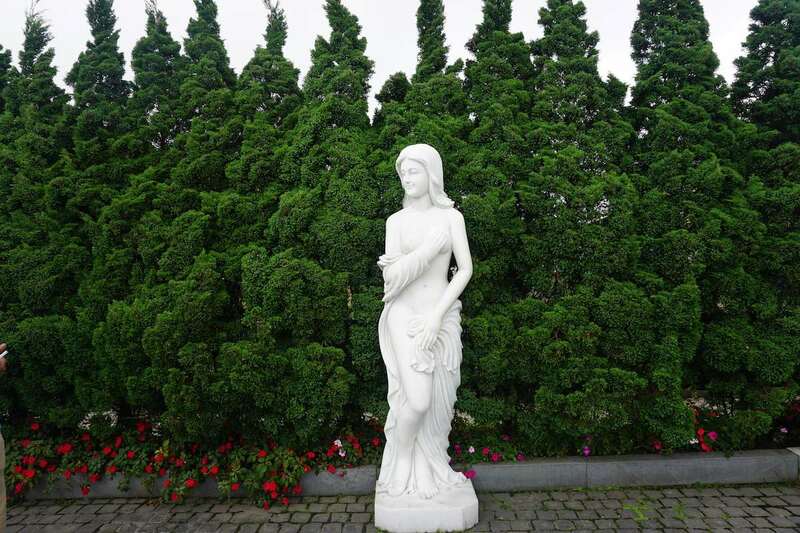 Sacred Garden: The God of Love will witness the vow of the couple in this garden. Vineyard: The Vineyard is associated with a more-than-100-year-old ancient cellar with landscape details and green layout recreating the vineyard region of southern France. There are 3 Linh Ung temples in Da Nang, and you can find one here at Ba Na Hills. A look from the inside of Debay Ancient Wine Cellar. You can also taste wine here. The French discovered Ba Na Hills area and built several works such as hotels, swimming pools, etc. 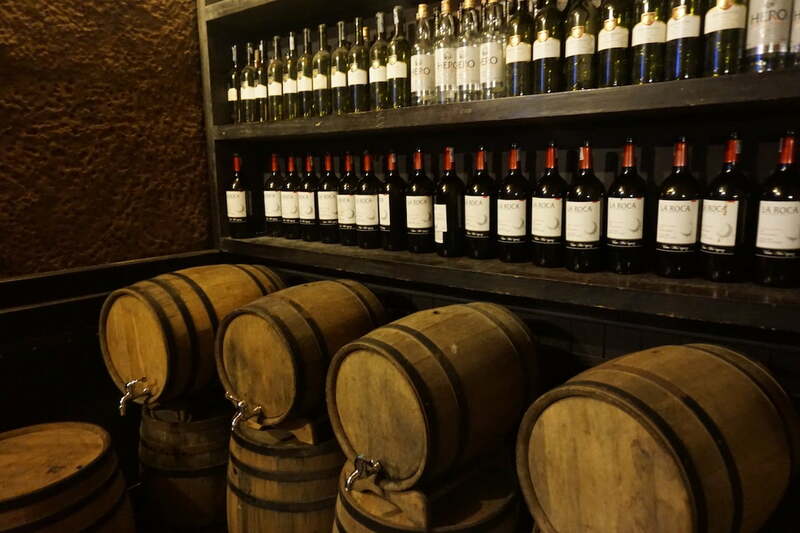 However, everything was mostly destroyed during the war, and only Debay Ancient Wine Cellar was left. This place was built by French architects and was dug deep inside the mountain in 1923. After visiting Debay Ancient Wine Cellar, you can take a short cable ride to the top of the mountain. You can enjoy the lunch at any restaurants, then start exploring the French village. It looks like Europe, right? The village is not too big, so spending 30 mins to 1 hour is usually enough to wander around. There are free performances on the stages daily, so don’t miss them! These games are free to play! 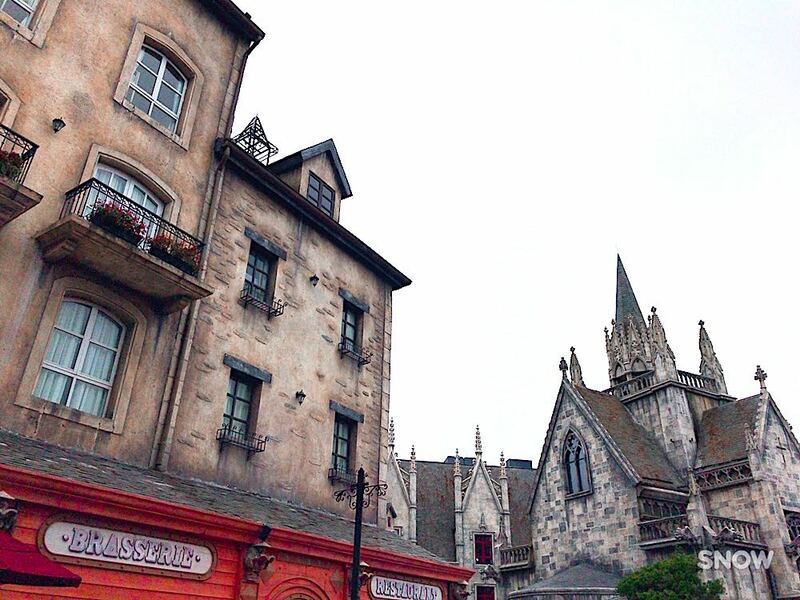 After visiting the French village, you should visit the amusement park. There are 3 underground floors for games, and they are always crowded. There are lots of free games, but the queue is very long to get in. Transportation: Because it was a tour, the bus driver drove around the city to pick up all the passengers. Limited time: You need to follow the time the tour guide listed. In brief, having a tour guide is much easier if you go on vacation with your family. Also, it’s great if you’re traveling alone because you can meet other people and save transportation cost. Where to stay in Ba Na Hills? There are plenty of good hotels and resorts in Da Nang city. The city itself has different attractions including Dragon Bridge, Marble Mountains, and Linh Ung Pagoda. Please read Da Nang travel guide for more information. The best way to enjoy most of Ba Na Hills is staying at Ba Na Hills resort. Located on the top of Ba Na Hills, Mercure Danang French Village Bana Hills offers a great experience with spacious rooms and amazing view. 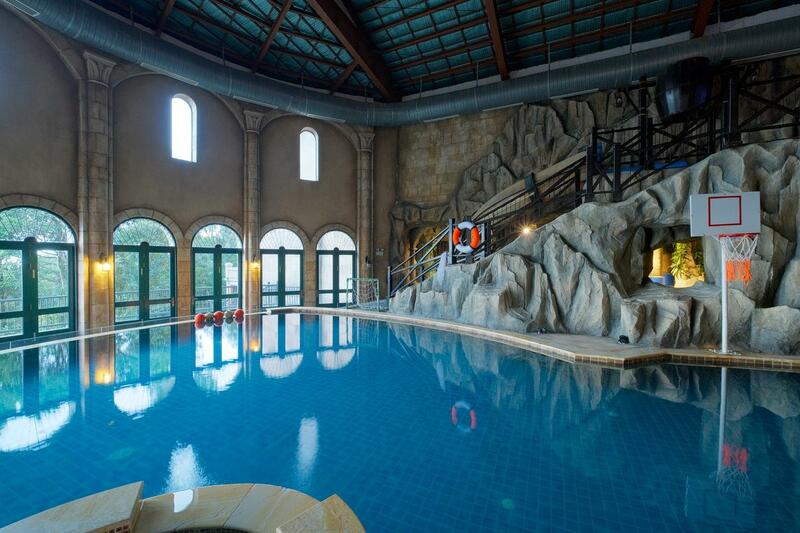 After a fun day at Ba Na Hills, you can come back and relax at the pool in the hotel. It’s a dream place to stay even if you’re on a budget. 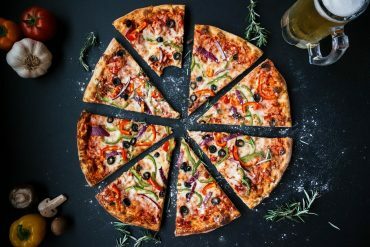 What to eat in Ba Na Hills? There are plenty of restaurants and food stands in Ba Na Hills. Price for meals at Ba Na Hills depends on your choice of cuisine. Restaurants are priced from affordable to high-end (ranging from 50,000 VND per person – 350,000 VND per person). What to pack for Ba Na Hills? If you visit Ba Na hills in the summer, you should bring suncream and a hat because it can be really hot and humid. Also, don’t forget to pack light and have a comfortable pair of shoes. Bring light: You need to walk a lot so it’s better to bring light. Clothes: It’s not too cold on the top of Ba Na Hills, so you only need to bring a light coat or jacket. Shoes: You should wear comfortable shoes or slippers because you’ll need to walk a lot. Ticket: You should book Ba Na Hills tickets in advance because the ticket line is very long. Time: It’s better to get there early from 8 am. It helps shorten the time waiting for the cable cars. Don’t go during the Vietnamese national holidays: It’s full of tourist. There are 10 000 – 20 000 people per day, so you will be stuck in the flow of people and cannot enjoy anything. 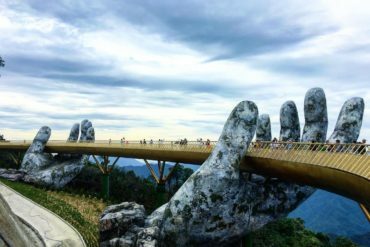 Locals say if you haven’t visited Ba Na Hills, you haven’t visited Da Nang. 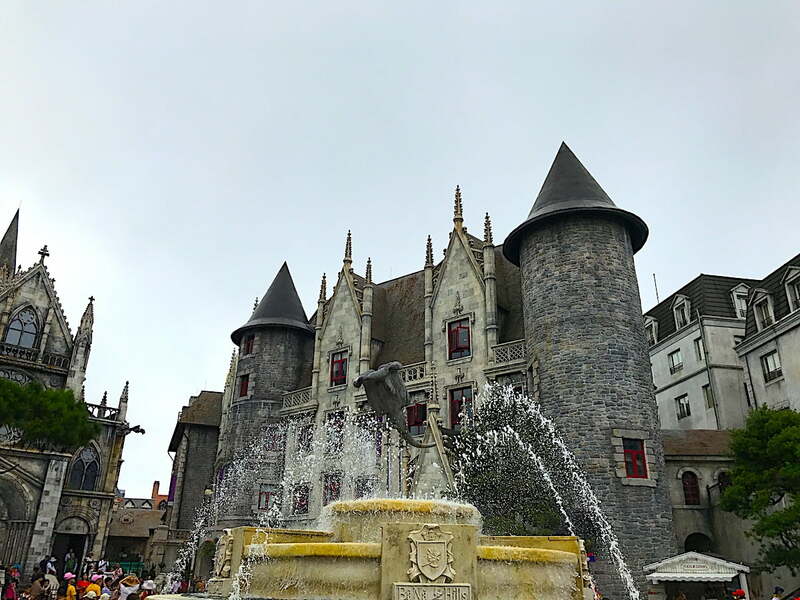 However, if you are familiar with Europe and want something different, Ba Na Hills may be not your cup of tea. If you want to see the mixture between European architecture and Vietnamese temple, also hiding from the hot of Vietnam, don’t hesitate and just go! Thank you for sharing about a place in Vietnam I haven’t heard about. It definitely has a French feel to it. 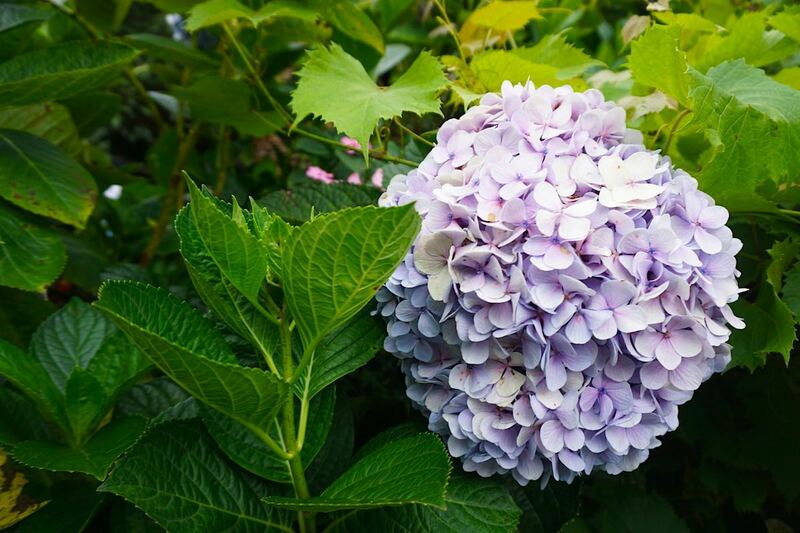 I also love the hydrangeas. They are one of my favorite flowers. It looks like an interesting place and with so many people visiting it surely must be wonderful! Great tips about when to go…we love to visit without the massive crowds for sure. Love the VERY large statue of Buddha in the background. What an awe inspiring site that must be up close! I think avoiding summer is the best! There were too many people visiting at the end of July. This sounds exactly like somewhere I’d love to explore. I’m thinking I’d skip the tour, especially if the food isn’t very tasty. The cable car would be my son’s favorite part and I think I’d enjoy seeing the French architecture and gardens. That would be a good idea for a trip. It’s really easy to go alone, and much more fun! 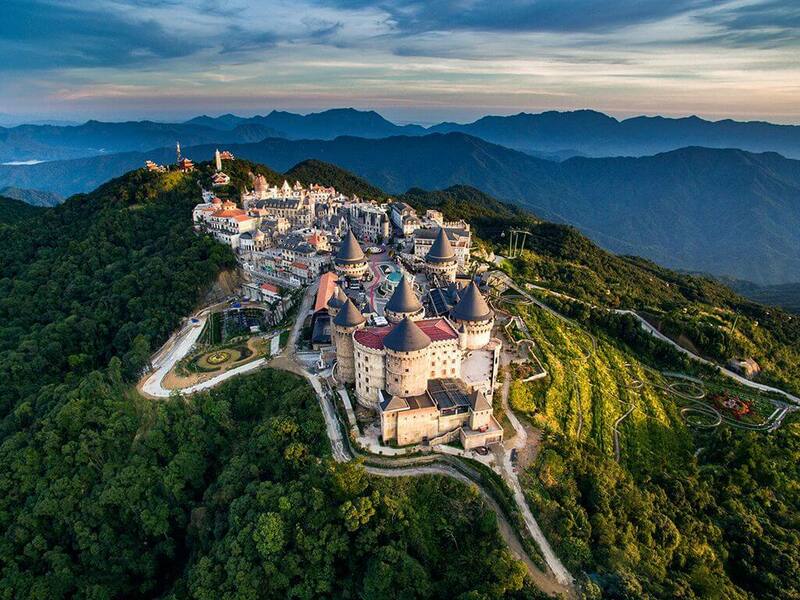 I’ve never heard of Ba Na Hills, but would love to go! I’m always up for a good cable car ride, not only for the ease and convenience of getting around, but aerial vistas are so wonderful! I agree with not going during the summer and holiday seasons. I used to work at Disneyland and those were always the most crowded times of year! Summer time and holiday are not the best time to go, right? It must be fun but exhausted to work in Disneyland, I suppose? At first glance I though it is Europe but after reading I was amazed that it is Vietnam. French village is truly named as it really looks like a countryside from Europe. Also the free performances on stage would be worth watching. After a long day of travel I would like to get a massage in Fantasy park. There is free 10-min-massage as well! Don’t forget to check out this place if you visit Vietnam. This looks so beautiful. I recently visited Vietnam, but could not make time for heading to Ba Na Hills. i would love to visit it for the wine cellar and cable car ride, on my next trip there. Cheers!! 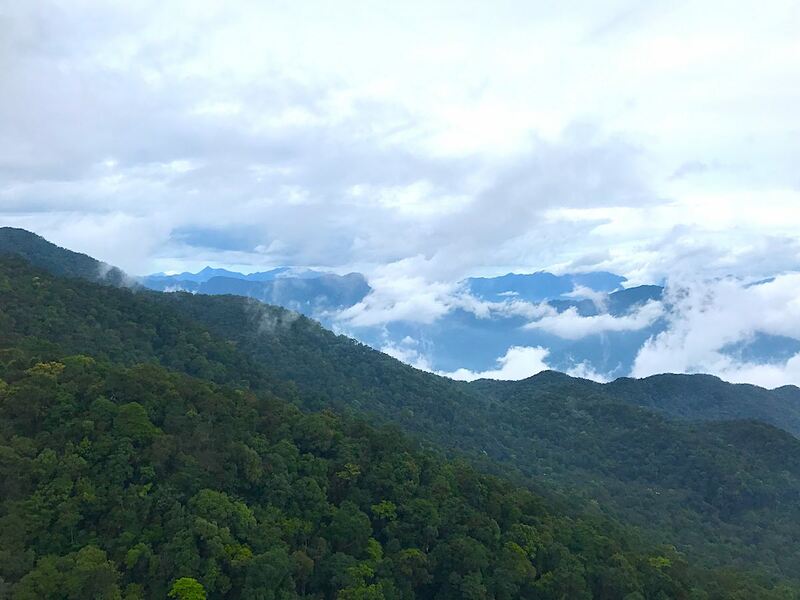 You should put Ba Na Hills on your list! Thank you for introducing me to this part of Vietnam. I never heard of this place!! So charming. Glad that you made a post about it as I am planning to visit Vietnam pretty soon! ? Great guide! Didn’t know about this part of Vietnam, and definitely didn’t know there was a French village there either! How quaint. I love going up on cable cars – that’s impressive that it’s one of the top in the world! Cable cars are a great way to get some awesome views of the surrounding areas. Woah! I never would have thought this was in Vietnam, it looks gorgeous! This place is totally beautiful! It’s crazy that the little village is in Vietnam it truly looks like france or italy! It was my thought as well. The town looks like somewhere in France! I’d never heard of here but it looks great! I love the cable cars! 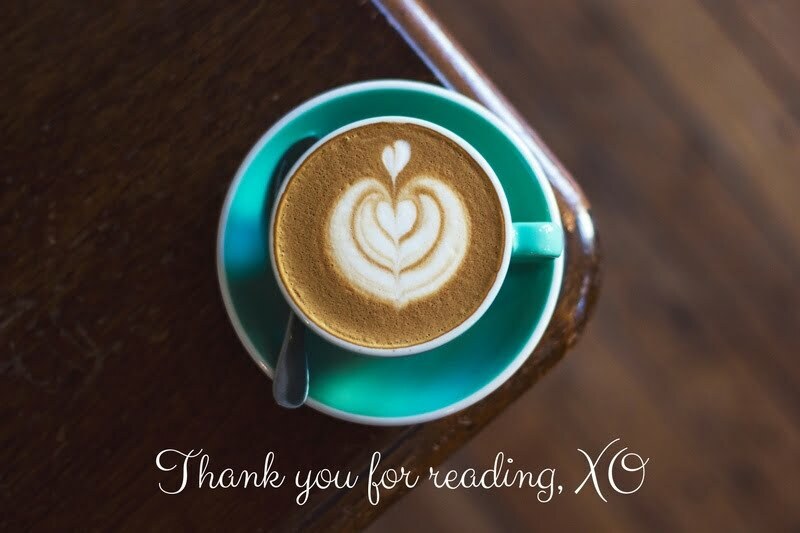 Thank you, Alison. It’s great that you like it. 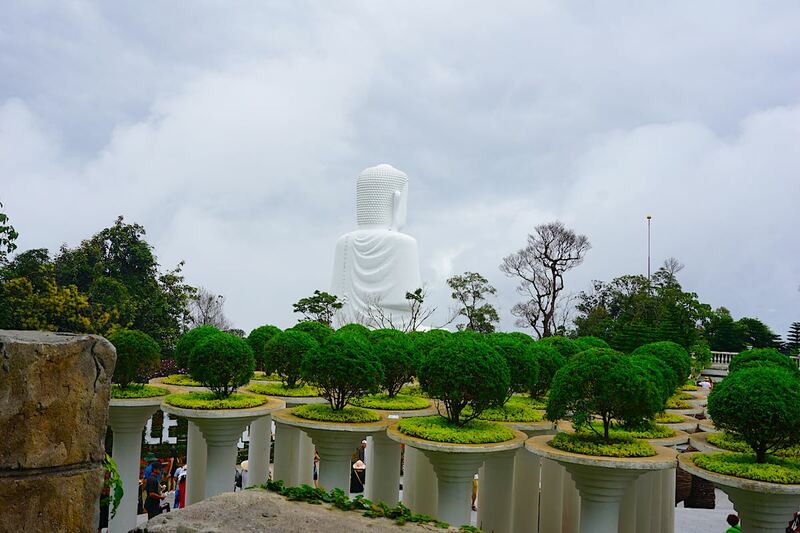 Bana hills is extremely beautiful and scenic! Cant wait to visit the place again!